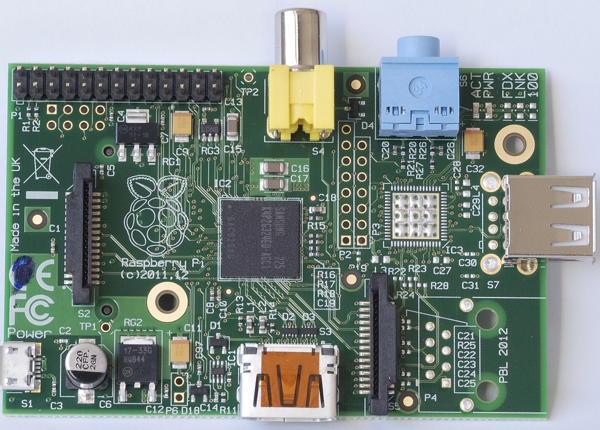 Raspberry Pi Model A first impressions and photos #piday #raspberrypi @Raspberry_Pi « Adafruit Industries – Makers, hackers, artists, designers and engineers! I was going to buy another Pi anyway after damaging the spi ports on one of my Rev 1 Pis last week, but I held back after hearing that the model A was imminent. Might as well have one of those instead. It’s just as good for GPIO stuff and I can set it up on wireless or use my USB-RS232 tty terminal adaptor to login. Of course, there’s always the good-old keyboard and monitor approach as well. It’s a lot like a Rev 2 model B, but without the network socket and chip and only one USB port and the same 256 Mb RAM as the original model A. First impression on handling is that it feels a lot lighter. I weighed a model A and a model B. Model B weighs 41g, model A weighs 31g. That will please those who are going to put them in balloons, planes and ‘copters. 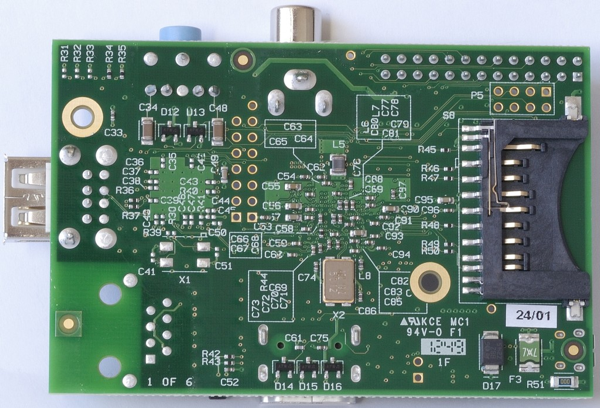 “Raspberry Pi model A, the one ounce computer” (nearly)….